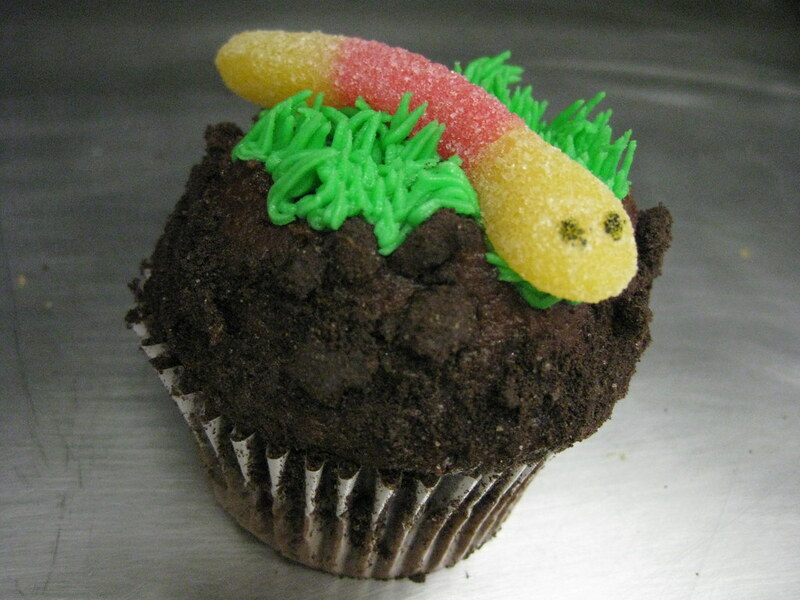 Pleasantville, New York's Flour and Sun Bakery is selling this gummy worm/"dirt" cupcake in honor of Earth Day. This is cute! I love the grass icing and gummy worm! So Earthy! happy earth day ! it doesnt look like a worm .. its like a snake !